The rapid expansion of the craft beer industry has been a wonderful thing in oh so many ways. 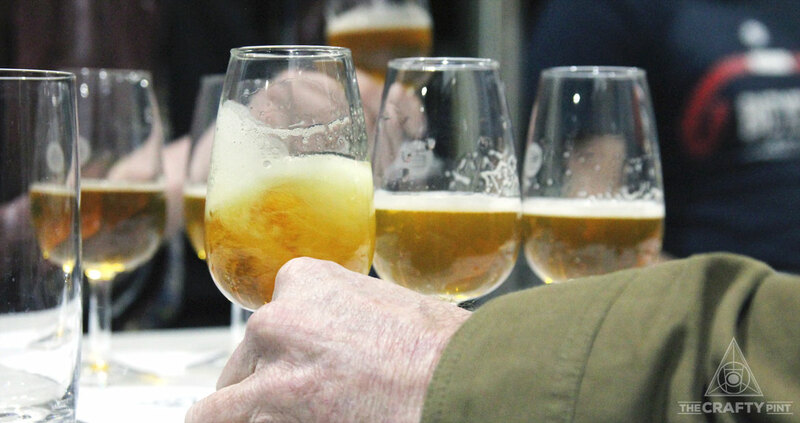 But it doesn't half make running our blind tastings something of a mission – especially when looking at pale ales. As outlined when we opened the voting round for the latest Getting Blind With Crafty sessions, we decided the best option was to do it in two stages: American style pale ales and New World pale ales (in simple terms, those built around the more tropical hop characters typical of contemporary Aussie and Kiwi hops). Even here, this meant we had more than 60 bottled or canned APAs from Aussie brewers to whittle down to a manageable number for a tasting. And there were some their brewers felt contained a little bit of column A and a bit of column B in terms of where they should sit. Three lucky dip picks, which threw up three S's – Sauce (NSW), Shifty Lizard (SA) and Spotty Dog (TAS). We deliberately included more in the initial list as we expected some to be unavailable or get lost to the black hole that is the courier industry; in the end, everything turned up but our panel took on all 25 like the troopers they are. The judging followed the usual methods – outlined here – albeit with one new feature. Where we needed to use two bottles or cans we ensured we knew which bottle or can each judge had sampled. This was in case there was batch difference across the beers – and we were glad we're did. As in the past, we attempted to buy as many of the beers from retail as possible in order to reflect the experience of our readers. This wasn't always possible – see the end of the article for the process we followed – but below you'll see where beers were sourced from and their packaged on or best before dates where possible. 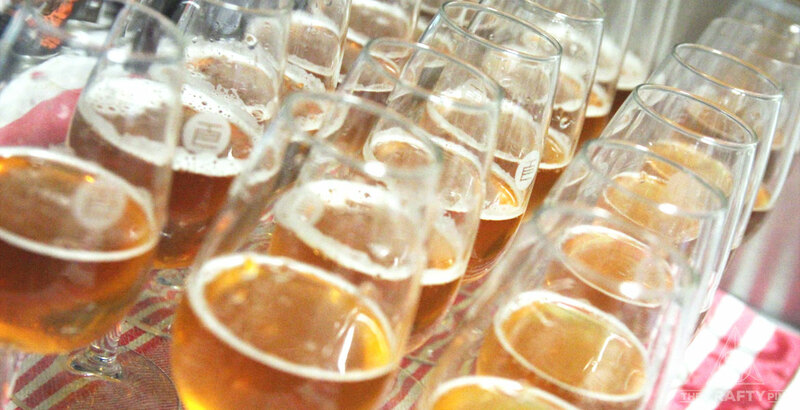 As seems to be commonplace in these tastings, particularly when sampling hop forward beers in which freshness is key, there was a massive clumping of beers in the middle of the field. Less than two points out of a potential 25 separated the beers in equal tenth and the one in 23rd. What else did we pick up? Freshness really can make a difference. Two of the beers we had to source direct from brewers were packaged and couriered to Crafty Towers within 48 and 72 hours of the tasting respectively and both finished inside the top ten. Check the dates! Sure, not every beer you'll pick up has any sort of stamp on it and some that we picked up had their markings obscured or blurred to the point they were illegible. But, when we went to collect one of the larger brewery beers from Dan Murphy's, we checked six individual bottles and a six-pack to find the freshest pair we could and there were beers from four different batches, with more than six months difference between the oldest and newest beers we could have walked out with. Put something – packaged on, best before date – on your beers, please, brewers. One of the beers scored considerably differently on opposite sides of the table. Because we knew who had drunk from which bottle, we were able to assess them afterwards and found the beers to be considerably different, thus presumably from different batches. If we'd been able to see a date of some sort and picked the two freshest, there's a good chance this beer would have come top. Cans are starting to dominate. Fifteen of the 26 beers sampled were canned rather than bottled. 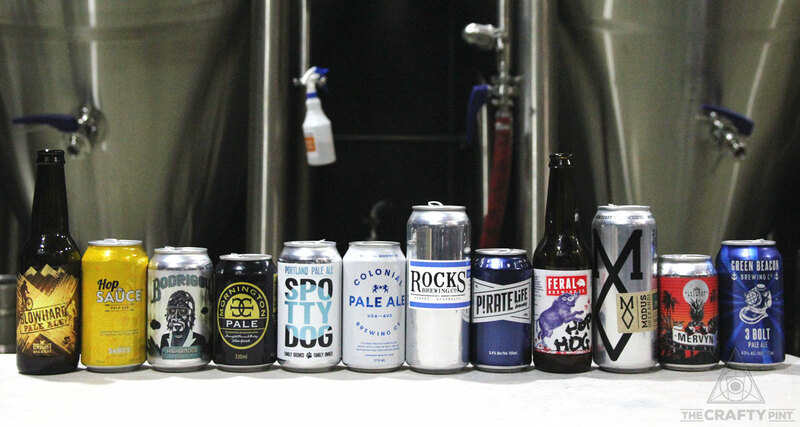 And, while it's impossible and perhaps even a little foolhardy to read too much into a single sample without delving deeper, 12 of the top 14 beers were in cans and five of the six lowest scoring were in bottles. It may not be as prestigious or glitzy as the trophies they've been collecting for fun at the country's major beer awards, but top spot for Green Beacon is further confirmation of what a consistently excellent brewery they've become, something that should stand them in good stead as they look to expand nationwide. Elsewhere, another high placement for Blackman's, whose Reginald IPA won one of our IPA blind tastings last year, and the usual podium spot for Modus Operandi too. As for the beer that might have taken top spot if we'd had two bottles from the same batch? Hop Hog. And the two hot off the canning line were Rocks Brewing's Hangman and Spotty Dog's Portland Pale. The other beers tasted, in alphabetical order, were 4 Pines Pale (Carwyn Cellars; BBF 25/07/2018), Akasha Freshwater Pale (Redwood Showroom; Packaged 14/06/2017); Bad Shepherd American Pale Ale (Carwyn Cellars; no date); Batch Brewing APA (From brewery; no date); Big Shed F Yeah (Purvis Beer; no date); Gage Roads Atomic Pale (Dan Murphy's Alphington; BBF 18/04/2018); Hawkers Pale (Carwyn Cellars; date stamp smudged); Little Creatures Pale (Dan's Alphington; BBF 23/05/2018); Moo Brew Pale (Dan's Alphington; BBF 23/05/2018); Newstead Brewing Out and a Bout Pale (From brewery; BBF 06/10/2018); Prancing Pony Hopwork Orange (Carwyn Cellars; Best After 04/08/2017); Shifty Lizard Pale Ale (From brewery; BBF 12/05/2018); Wolf of the Willows XPA (Slowbeer; no date). There was one other beer on the lineup but we discovered on the day it was past its best before date so we've not included it here. We contact well known and highly rated independent bottleshops with the full list of beers we hope to feature and buy all we can from them*. NB: As you'll see from the list above, where larger brewery beers or those only available through major retailers get voted into the lineup, we'll head to Dan's and hunt for the freshest beer in stock. * We wouldn't normally have so many from one bottleshop but Carwyn Cellars happened to respond quickest and had heaps of the beers we wanted in stock. Thanks to the six judges for giving up a Friday night, to Temple for hosting us on the brewery floor and to Kerry McBride for assisting with the stewarding. Next up will be New World style pale ales before the year is out. Look out for the public voting round soon.